Do you have a goal of busting through your fabric stash in 2019? 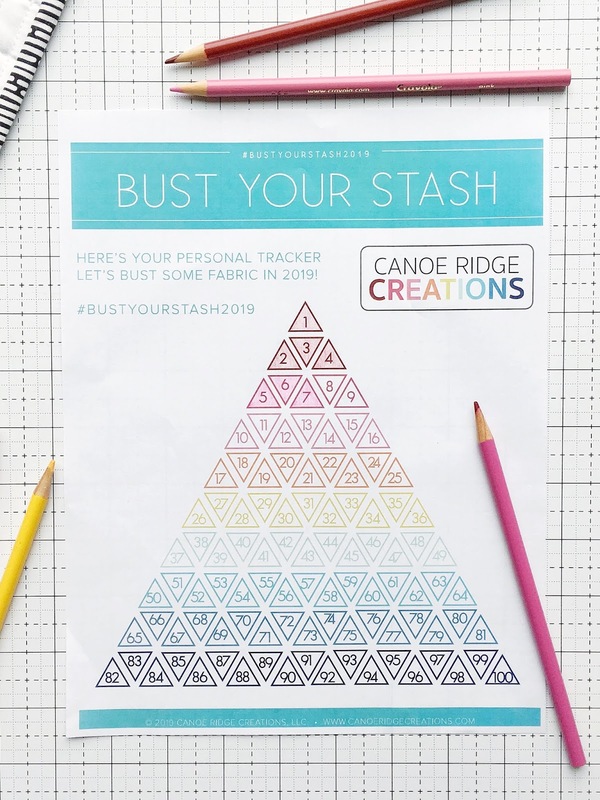 The #BUSTYOURSTASH2019 tracker is perfect for tracking yardage used along side your #FINISHIT2019 progress. So far this year I've finished 3 projects and have used 7 yards of fabric from my fabric stash. Coloring in those triangles is so satisfying! Grab your FREE copy of the #BUSTYOURSTASH2019 Tracker right here. How do I use the #BUSTYOURSTASH2019 Tracker? 1 - Download your FREE copy right here. 2 - Print it! Choose between the rainbow colored version or print in B&W and choose your own colors. 3 - Start tracking! For my tracker each triangle = 1 yard of fabric. You choose - fat quarters, yards, etc. It's up to you!